In the PAD for 23 January I discussed the demolition of the Darling Harbour exhibition and convention centres. Here we get one of the last glimpses of the exhibition centre before it met with an untimely demise. 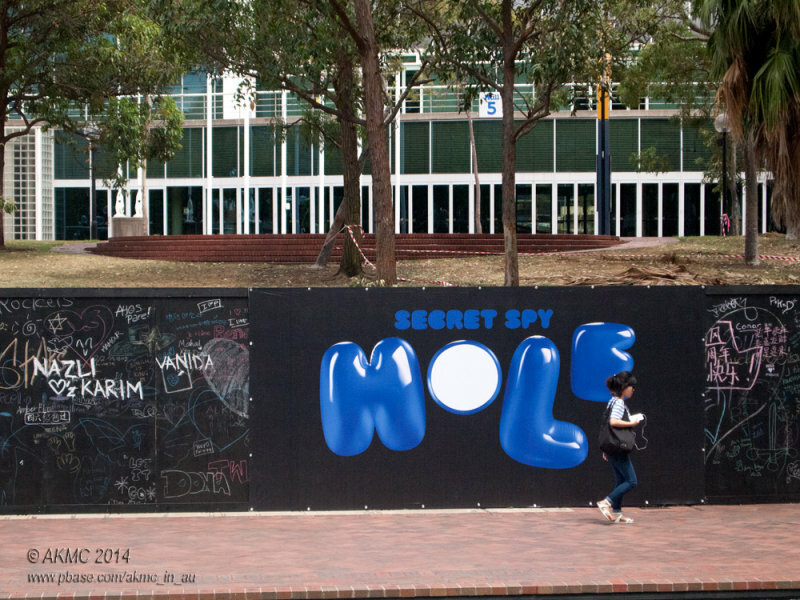 As we can see, the hoarding around the soon-to-be construction site offers a "secret spy hole". Though how something can be secret when it's written in big blue letters on a large wall I have no idea. In any case, the secret seems to have little appeal to the woman walking past it. This is great! What a wonderful capture of street life.